Growing rubber to make the tyres probably didn’t figure near the top of your list. And yet the cultivation of rubber has quietly become an urgent environmental and social issue. It is one of the major threats to the wildlife-rich forests of Southeast Asia, and an increasing threat to forests in Central Africa. Strong, elastic, flexible, waterproof: rubber is remarkable stuff. It has a vast range of uses, from the soles of your shoes to party balloons, surgical gloves to cable coatings. Most of all though, it’s used to make tyres for planes, buses, cars and trucks — hundreds of millions of them every year. And with the number of vehicles in the world expected to double by 2050, demand is increasing dramatically. While rubber can be made synthetically, natural rubber has its own unique qualities and makes up nearly half of the total global production. Latex, the raw material, is found in many plants but practically all natural rubber used commercially comes from the rubber tree, Hevea brasiliensis. Rubber trees are native to the Amazon. The Mayans and other ancient civilisations knew about rubber’s extraordinary properties centuries before Christopher Columbus. Many people continue to make a sustainable living by tapping wild rubber trees in the rainforest. Today, though, almost all natural rubber is grown in plantations, the vast majority of which are found in Southeast Asia. And in recent years, with demand rising, we’ve seen a worrying upsurge in forests in the region being cleared to make way for rubber plantations. There have also been clashes between the rubber industry and indigenous people and local communities, with reports of land grabs as well as poor working conditions. From Indonesia and Malaysia to the Greater Mekong, the forests of Southeast Asia are already under huge pressure. But while many efforts have been made to address threats like palm oil and paper plantations and illegal logging, rubber has largely gone under the radar. Now, though, that’s beginning to change. In 2016, Michelin — the world’s largest buyer of natural rubber — released a natural rubber policy, developed in partnership with WWF. Major car manufacturers like General Motors and BMW and a number of big tyre companies have also signalled their commitment to sustainable natural rubber, including Pirelli, Bridgestone, Goodyear, Continental and Sumitomo. This is a major development, since tyre makers and the vehicle manufacturers that buy from them control nearly three-quarters of all natural rubber production. And they’ve now taken a further step forward with the formation of the Global Platform for Sustainable Natural Rubber (GPSNR), which held its inaugural general assembly on 21 March following the World Rubber Summit 2019 in Singapore. The GPSNR brings together tyre makers and other rubber buyers, rubber producing companies, smallholders and social and environmental NGOs, including WWF, to drive the natural rubber industry towards sustainability. We’ve been closely involved in setting up the platform, drawing on our experience in other sectors of convening diverse stakeholders to work towards common social, environmental and economic goals. It’s a real opportunity to transform the natural rubber industry and to prevent further deforestation in Southeast Asia, as well as in other regions like the Congo Basin where rubber production is beginning to take off. We hope the GPSNR, with its mandate to develop mechanisms for the implementation, monitoring and verification of sustainability commitments, will make sustainable natural rubber a global reality. 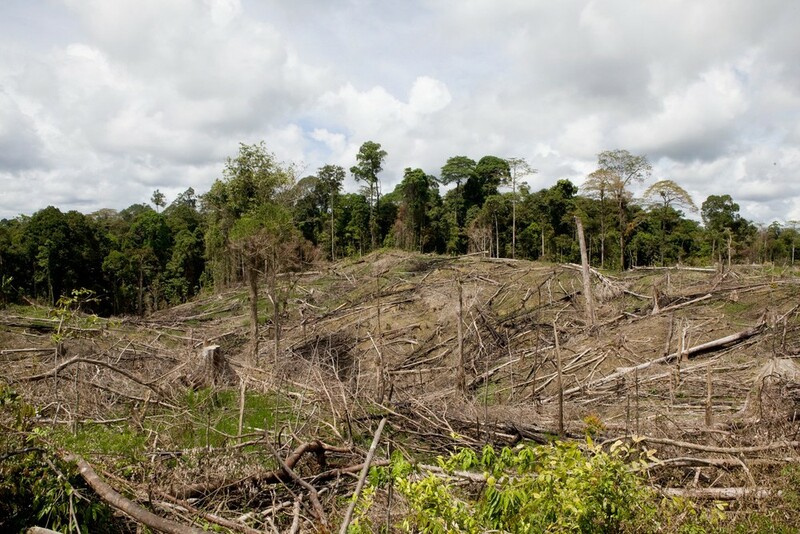 Transparency, traceability and identification of no-go zones are critical elements to halting deforestation from rubber production, as is respecting indigenous people and workers’ rights. We believe rubber production can be sustainable. Rubber trees grown on previously cleared land with low conservation value can help to capture carbon and reduce erosion, while providing a supply of latex for up to 30 years. Rubber also provides livelihood for millions: latex is still collected by hand, with around 6 million smallholders producing 85% of natural rubber. And when rubber trees stop producing latex, their wood can be used for furniture or other uses, providing an additional income source for smallholders. WWF is involved in various projects to demonstrate what sustainable rubber production looks like in practice. For example in Myanmar, where rubber production is expanding rapidly, we’re working with smallholders and other stakeholders to develop a sustainable rubber industry — with a particular focus on protecting the forests of Dawna Tenasserim, a vital habitat for tigers, Asian elephants and many other species. The rubber industry is at critical juncture. It has the ability to avoid additional deforestation from rubber production, while protecting the rights and improving the livelihoods of small farmers. It’s vital that we grab the opportunity to point the wheels in the right direction.